← Homebrew Wednesday 55: So many hop varieties…So little time. This past Sunday I brewed a saison WITHOUT HOPS in order to accommodate the lactobacillus in The Yeast Bay’s Farmhouse Sour Ale blend. As with all of my beers, I learned a lot from this brew day and hope you’ll learn something from this video. Cheers! Possible grain to glass video: If I do edit together a grain to glass video it’ll focus on the development of the tartness in this beer (currently named Lacto Saison). Importance of mash temperature for this beer and for beers fermented with wild yeast and bacteria. Importance of keeping the IBUs low for this beer and beers fermented with lactobacillus. Brew day footage: Collecting second running > sparging > preboil gravity > end of the boil / original gravity. Start of fermentation: Longer than expected lag time and lack of “visible” signs of fermentation led to my contacting Nick, The Yeast Bay’s founder and “chief yeast wrangler” and asking for advice on how to proceed. Note: Any final gravity / abv numbers present above are numbers that I put in after brew day to evaluate the potential ABV of this beer. 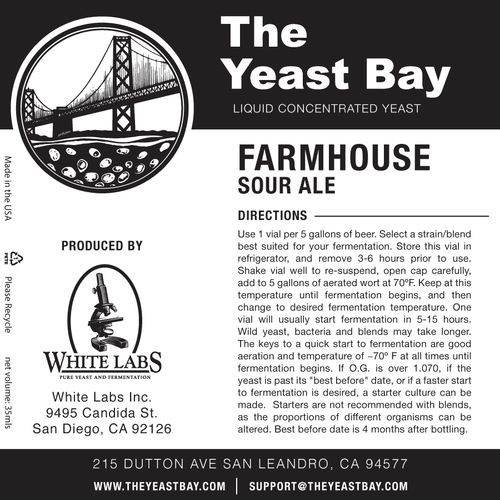 This entry was posted in Brew Day Videos, Homebrewing and tagged All Grain, beer without hops, Farmhouse Sour Ale, fermentation fridge, homebrew wednesday, mash temperature, rousing yeast, saison, The Yeast Bay. Bookmark the permalink. 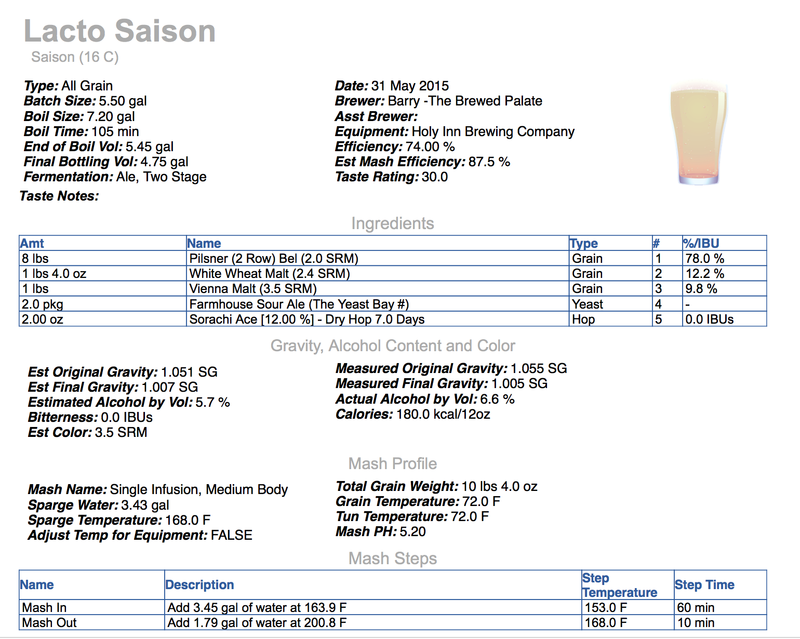 1 Response to Homebrew Wednesday 56: A Saison Without Hops?